Family and friends say a final goodbye to the beloved Captain Noah. ARDMORE (WPVI) -- It was a tearful goodbye to a beloved TV pioneer who brought warmth, wisdom and laughter to hundreds of thousands in the Delaware Valley for nearly 30 years. "I had my son's first grade teacher call me once and asked if I read the newspaper to my son every morning. I said, 'No.' She said, 'He knows all the current events,' and I said, 'That's Captain Noah,'" longtime friend Theresa Schwolsky said. On Monday, dozens gathered for an intimate funeral at Saint Paul's Lutheran Church in Ardmore to bid farewell to William Carter Merbreier, better known as Captain Noah. W. Carter Merbreier, known for decades to children's television audiences as Captain Noah, has died at the age of 90. 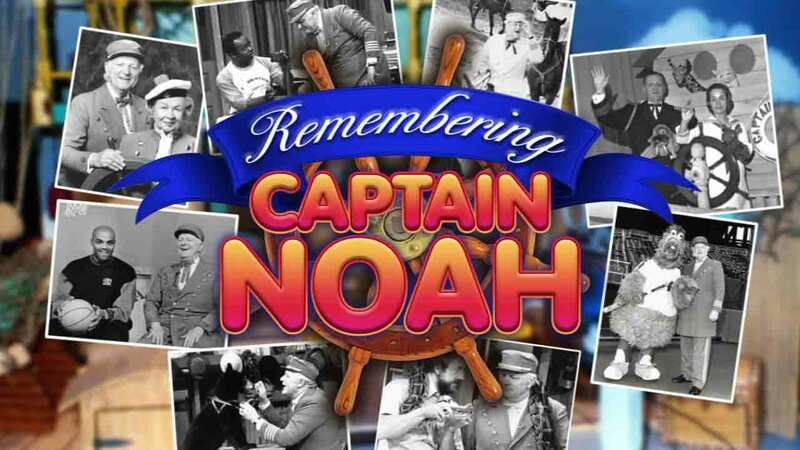 "Captain Noah and His Magical Ark," which aired on 6abc (WPVI-TV) in Philadelphia for 27 years. "We came so close to not putting that program on the air. I realized if we hadn't done so - the thousands of thousands of thousands of lives that were impacted by Captain Noah," former program director Lew Klein said. The show ended in 1994 and represented the end of an era of television enchantment. "There will never be another Carter Merbreier. There will never be another Captain Noah," Klein said. Captain Noah's famous tune is sung as loved ones say a final goodbye. Longtime friend and former 6abc weatherman Dave Roberts knew the impact of Captain Noah on generation after generation. "It was a time in television when television was able to touch, reach out and touch, and when you reach out to a child in return all you get is love and that love will always be there," Roberts said. More than sadness and sorrow, it was also the celebration of a life well lived for all the reasons that matter. "If a person want to get a real value of their life - What have I accomplished in my life? What am I doing? What's important? - ask a child," Roberts said. But how would the TV pioneer want people to honor his legacy? A friend of Captain Noah told Action News- just be kind to others.